It is so crazy to me that Thanksgiving is just a couple short weeks away. I feel like this year has been in overdrive lately. Seriously, where did it go?! If you are anything like my family, you are already getting the Thanksgiving menu finalized and recipe assignments out to the masses. Wherever my family attends, whether it be with mine or my husband’s family, I am usually in charge of the dessert. Can’t complain though, I love dessert! Pie tends to be a very traditional Thanksgiving dessert and I thought I better share with you my recipe for one of my personal favorites. Apple Pie is probably one of my favorite pies. I am really particular when it comes to pie. Chocolate-anything is usually what is calling for me at the dessert table, but a really good apple pie- I just can’t resist. Place a scoop of ice cream over the warm slice of apple pie, and that my friends is perfection. 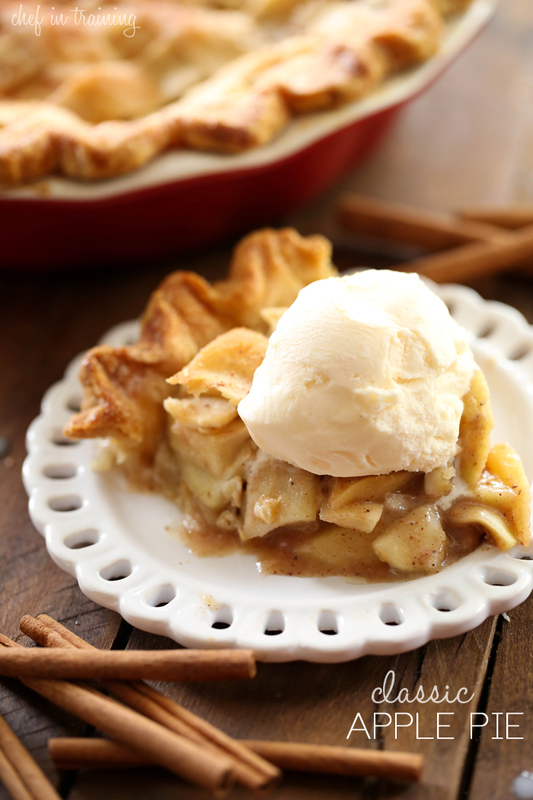 If you are looking for a good apple pie to serve your guests, then look no further! This recipe is the perfect hint of tart and sweet and is bursting with flavor in each and every bite! Love the classics! They've lasted through time for a reason. This looks fantastic. You can't beat a good classic recipe! This apple pie looks divine. Any suggestions for freezing this pie? I'd like to make it now, freeze it and bake it for Thanksgiving.